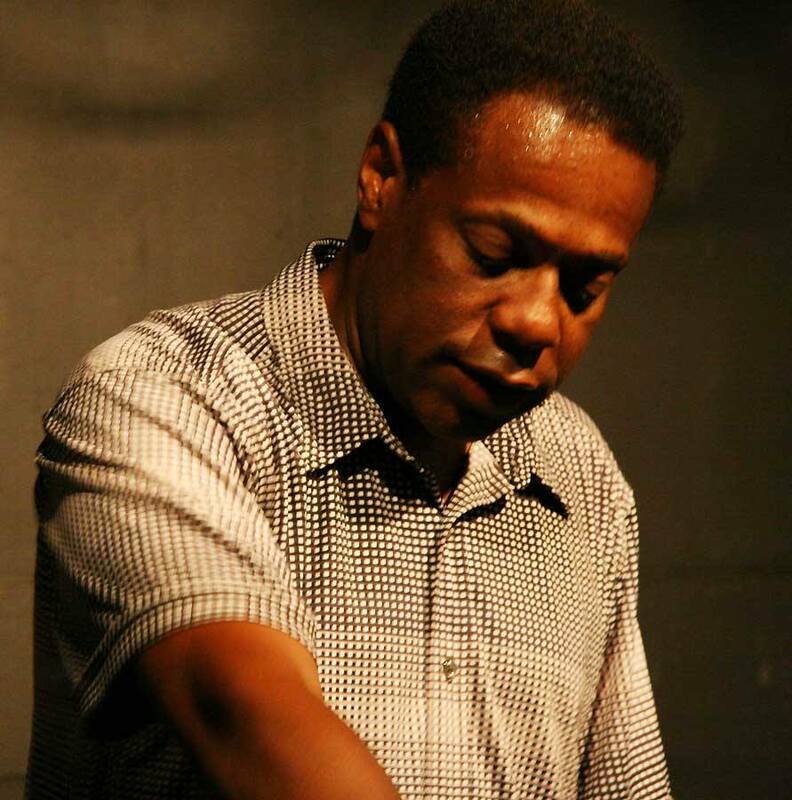 “Not A Genuine Black Man”: Wit and Warmth, at The Marsh, S.F. With the recent bigoted demonstrations in Charlottesville, anti-Black racism and white nationalism has reached a new peak. Racism has always existed in America—but the current President has charged the bigotry with new energy. Black and white identities are under a heightened collective awareness. 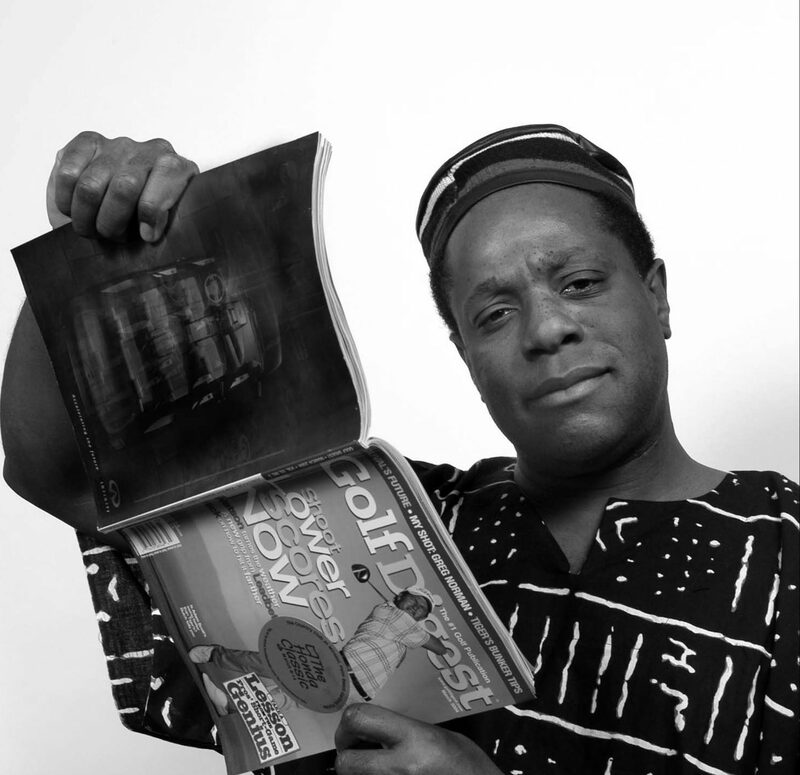 Brian Copeland’s “Not A Genuine Black Man” reminds us of our nation’s history through Copeland’s personal history. Copeland weaves together anecdotes about growing up in 1970s San Leandro, a 99% white East Bay community. For decades, home builders, bankers, and realtors shaped San Leandro into a white bastion, using white supremacist tactics. 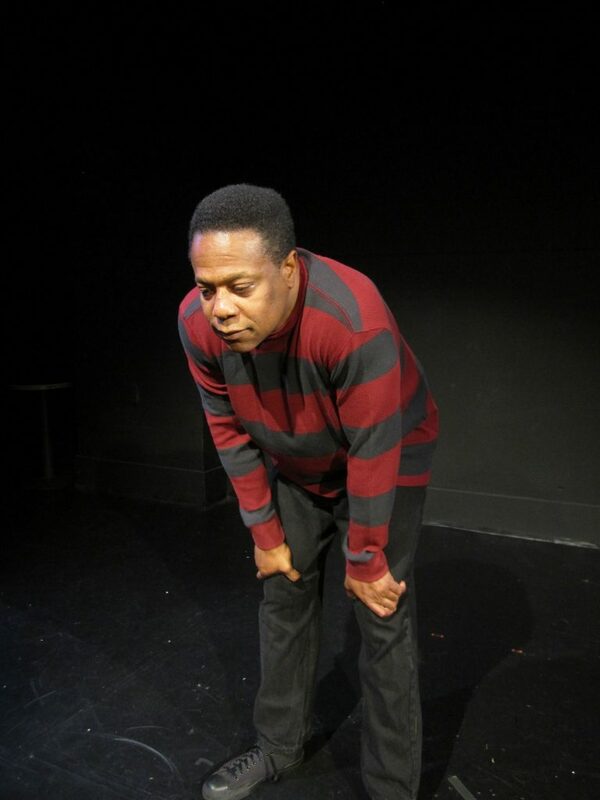 Brian Copeland in “Not A Genuine Black Man” at The Marsh, S.F. On his first day in San Leandro as a boy, Copeland describes leaving his mom’s apartment in search of a grassy green park. There he encounters a group of white boys. His hopes of friendship are abruptly dashed when the boys shout racial slurs, and threaten to beat him up. He darts away down the street, crossing paths with someone who should be his protector—a San Leandro police officer. Copeland adeptly switches between his voice as a child and the officer’s voice. The officer asks Copeland why he’s running in this “quiet” neighborhood, to which Brian explains his terrifying encounter with the boys. Skeptical and accusatory, the cop pats down the eight-year-old for weapons! Copeland calls it a rite of passage for any black man. We are transported with eight-year-old Brian through his formative years as an African-American kid in the East Bay, with all the highs and lows that entails. Copeland gifts us with a rich fabric of shared nostalgia with striking liveliness and swift cadence, radiating warm familiarity. But that warmth masks deeper truths about being Black in America. When Copeland’s mother, a delicate soul, moves their family to the suburbs, they suffer racism, harassment, and the inevitable eviction notice. They are persecuted by the manager, the landlord and the police. Fair Housing laws are routinely violated. A police officer waits to stop Black drivers at the city entrance. Copeland’s singular presence on the stage of this one-person-show is both familiar and monumental, present and historical. The tenderness and intimacy of Copeland’s storytelling gives way to a rigorous examination of the complexities of Black identity and masculinity. 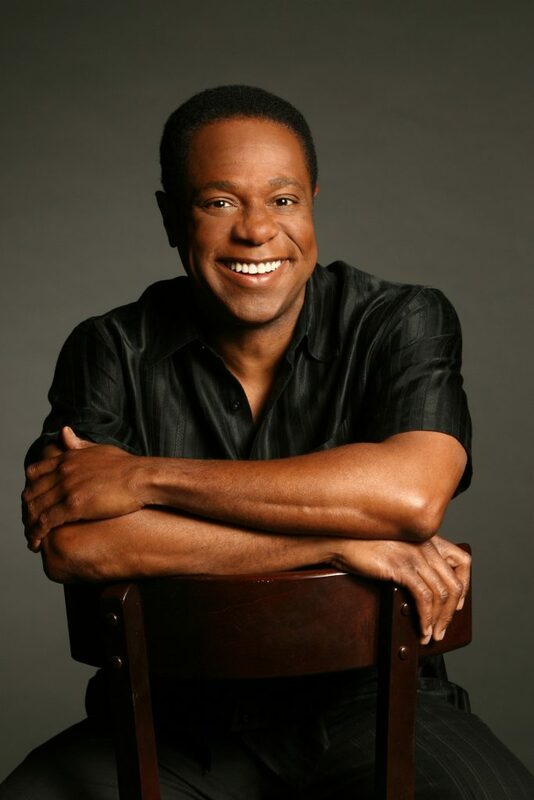 As a well-known radio host on KGO, Copeland received many calls and letters from his listeners. One letter struck him the most—it accused him of being “not a genuine black man.” First written in 2004, the show remains the longest running solo show in Bay Area history. Today’s virulent political climate, particularly the election of 45 and recent white supremacist terrorism, has inspired Copeland to bring the solo performance back to the Marsh Theatre for another run. Copeland tells stories like a master. He weaves us in and out of his elegant mom’s subtle reaction to daily insult. When he imitates his mother, his hand delicately raised to his mouth, we feel the child’s love for his besieged, resilient mom. He jokes about being obsessed with Star Trek and having no interest in athletics. Copeland laughs, “That’s not very Black, is it?” His anecdotes embody a forceful critique of Black stereotypes. Inspired by a Black lawyer named James Ware, the boy decides that he wants to be a civil rights lawyer, too. Later, he finds out that Ware, who became a judge, was not as admirable as the little boy thought. Despite the weight of these themes, Copeland weaves charming humor and endearing encounters with family and friends into his narrative. He depicts his grandmother’s assertive lingo. He reenacts his family’s wearing their Sunday best for brunches at IHOP. Behind his nostalgia lies a powerful hopefulness. He sees San Leandro and the entire country with an understated optimism. Today, San Leandro has made remarkable progress towards diversity and inclusion. In 2013, one study called San Leandro the fifth most diverse city in America, with tens of thousands of Black, Latinx, Asian-American, white residents, and others. Copeland still lives in San Leandro with his wife and kids. Reacting to Charlottesville, Copeland is bringing the play back to The Marsh. What a treat to encounter his elegant mom, his outspoken grandma, and his little sister. Like no one else, Brian Copeland conveys the pain, isolation, and rejection that he experienced as a Black child. Whether you’ve seen the show before or not, spending quality time with Brian Copeland feels like a warm and witty family reunion. “Hair”: Still Hirsute and Contradictory, at Great Star Theatre, S.F.